We hope this post and these pictures inspire you in your upcycling journey. Watch for some women's and accessory inspiration to come. 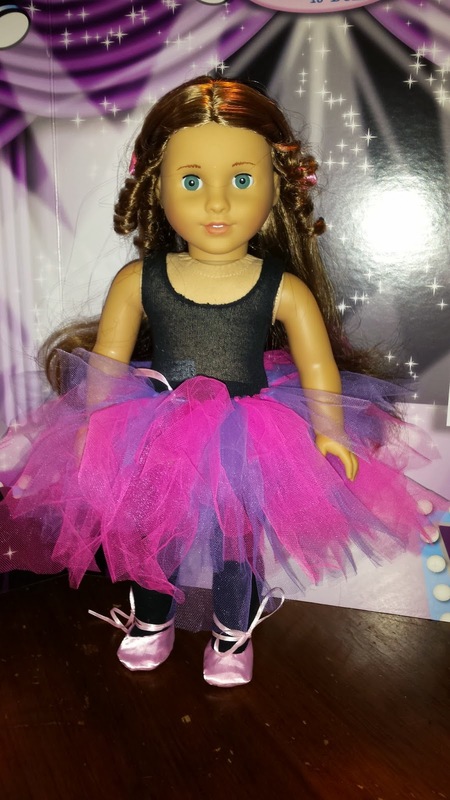 Allison has started a doll business. She is offering food, clothing, furniture, toys, and horse equipment. The food, shoes, and toys are from Sophia's Doll Company. 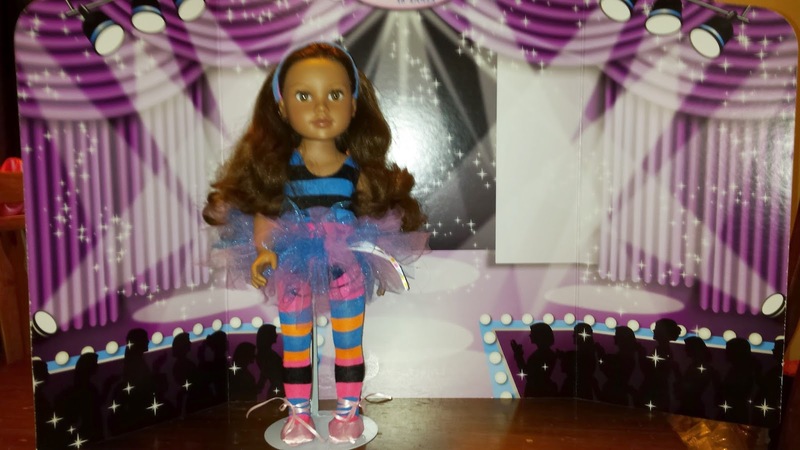 Sophia's clothing, dolls, and furniture is available for special order. 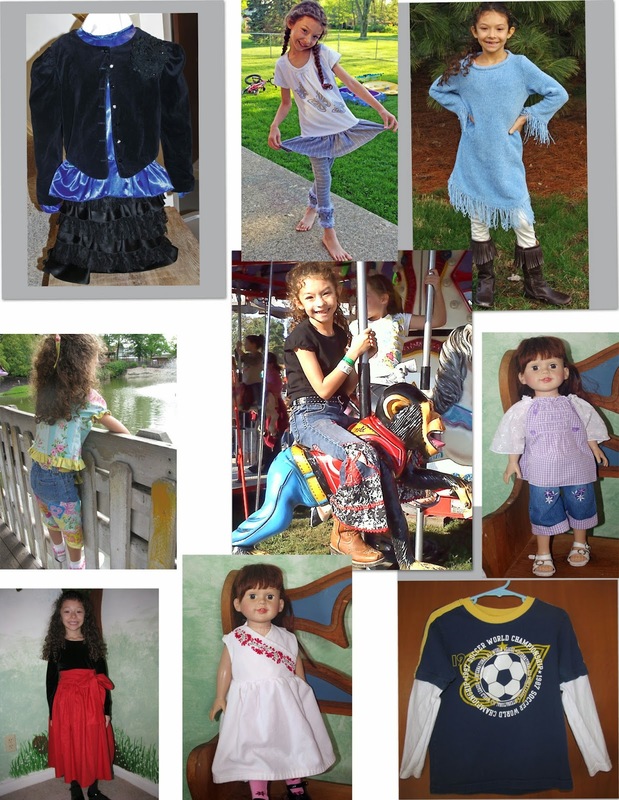 We've custom created a few dolls for Allison over the years. 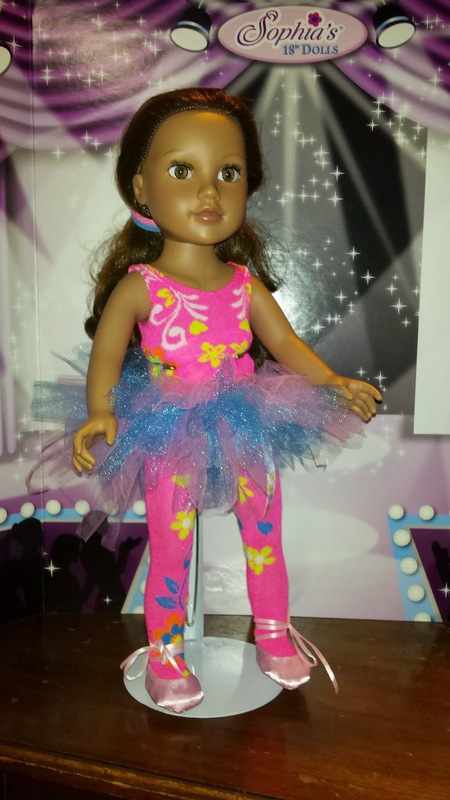 So she has decided to offer the opportunity to custom create your own doll by choosing a doll and a wig from the selections and she'll make it for you. Allison has started her own line of doll related things from one of a kind or limited edition clothing to horse accessories. The name of this line is AllyMae Originals. Our online friend Ariel Winters created her logo and facebook cover from Allison's ideas. Below are a few examples of the AllyMae Originals currently available in her store. 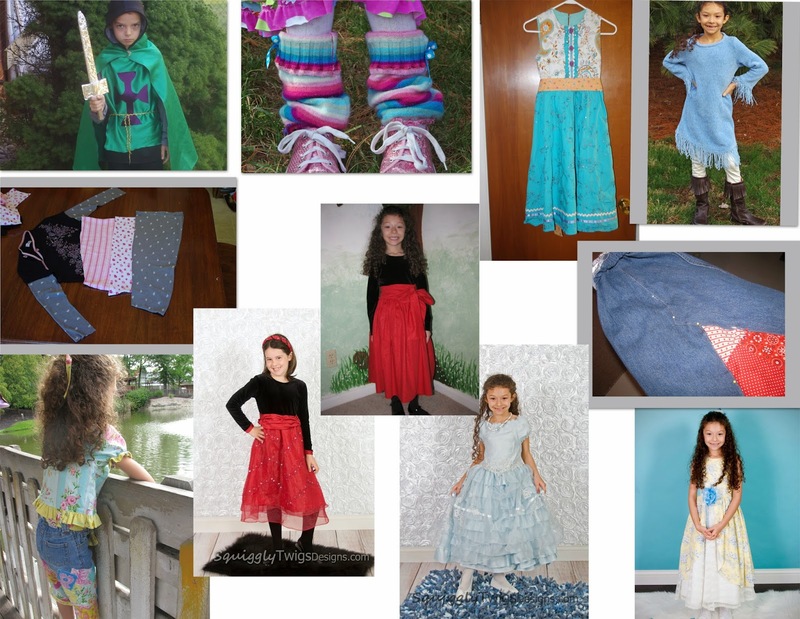 This is the story of my Tops for Tweens 4H project. I began thinking about what I would make for my project in October. My mom and I went shopping. I saw a top with multi-colored lace. I liked that lace. We couldn't find any to buy. My mom had dyed nylon fabric with koolaid for me before. I wanted to try tie dying lace with koolaid. My mom found nylon lace online. I asked her to buy it for me. I went to Koolaid's website a made a list of all of the colors of koolaid. We bought one pack of each at the store and tested them in clear cups. I chose three colors to use. I watched some tie dying videos on youtube to learn to tie dye in a hot water pot. Dying in a hot water pot is tricky, because the burners are on low and you don't want to catch the fabric or yourself on fire. It was too much for my hands to hold, so my mom helped me hold the fabrics while dying them. I wanted to make a tunic and decided to use my Miss Lydia pattern to make the top. It is a dress pattern, but has a custom design feature that let me choose how many tiers my top would have and how long each tier would be. With the custom feature, I could allow for all of the growing I've done this year. I have been checking fashion books out from the library and like the bohemian fashion so I made bell bottoms out of a pair of jeans and added some hot fix and bedazzeled jewels and rhinestones. A bedazzler is a difficult machine to use. It took 4 hands. Mom made me a hotfix iron on of my name for one leg of my jeans. We found a braided belt picture and a braided headband, and tutorials on how to make them online. This went with the bohemian idea well. This was a fun project. I learned a lot of new things about making fashion from my own ideas. I won first place at my county fair and Outstanding of the Day at my state fair. Most of all I love wearing my boho outfit. 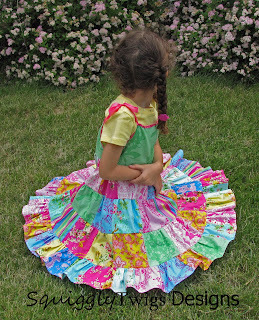 This is such a fun dress to make and wear. Your daughter will be dancing and twirling about for sure. 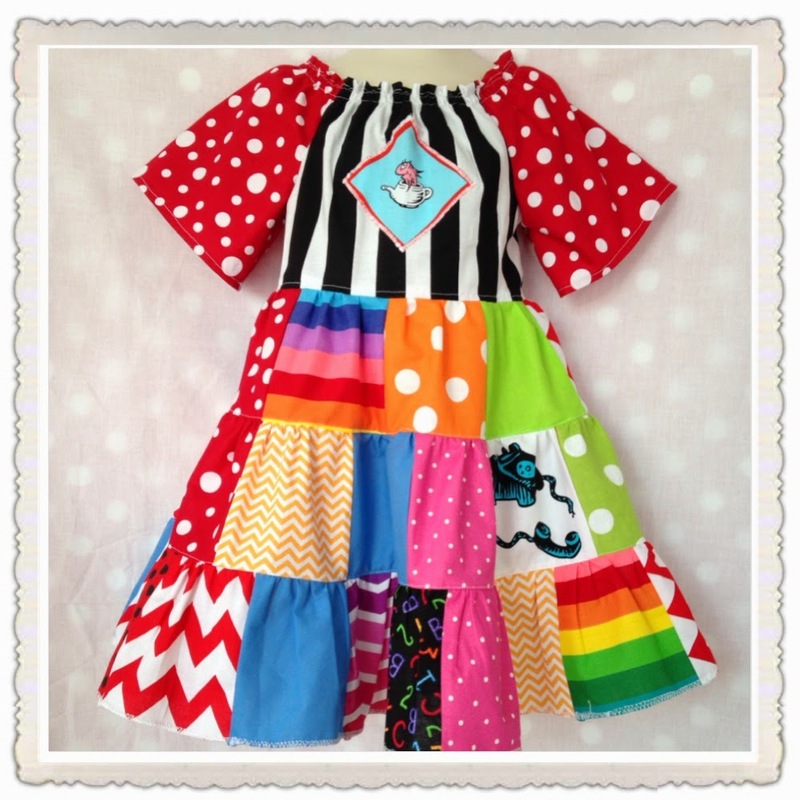 Make it for an outing or for play with the fabrics you choose. With two sewing options, Custom Fit and Standard Fit, you can choose how you would like to make it. With the Custom Fit: the included pattern piece, size 12 mo. 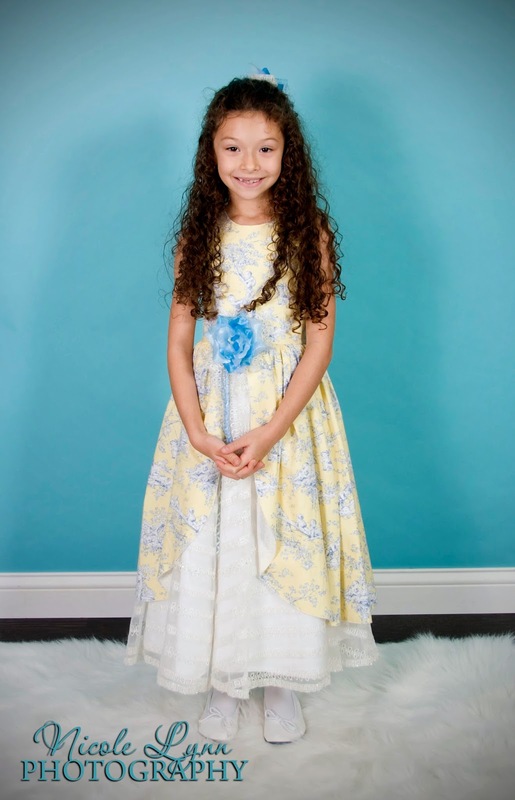 -size 10 girls, is ready for you to customize your bodice and cut the sleeves. The quilt skirt has pieced tiers, giving you the freedom to add a one of a kind fabric combination. 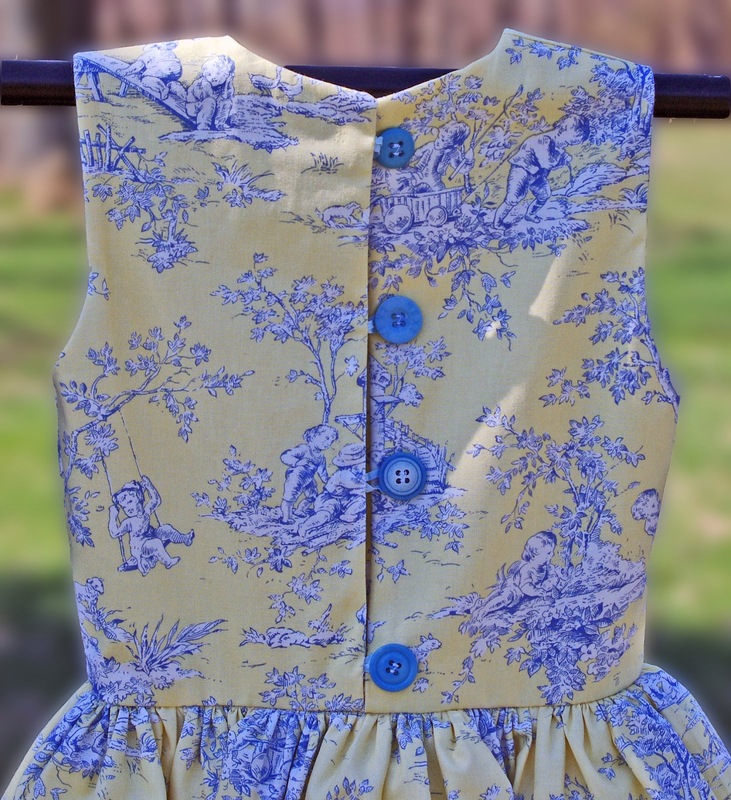 The Standard Fit option allows you to use our bodice templates and handy cutting guides for sizes 12 mo. 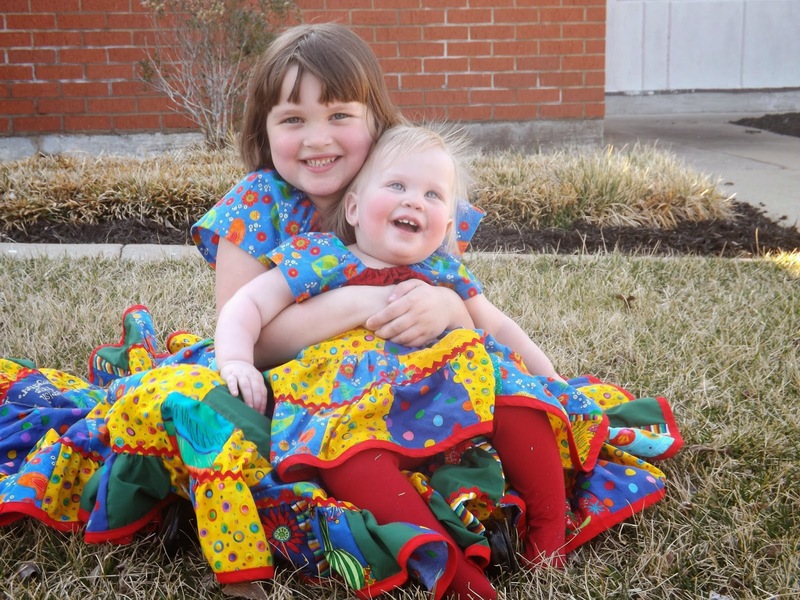 -size 8 and an 18” doll to create the dress without measuring the wearer or doing any calculations. A tunic length looks great paired with the Quick Pants, also designed by SquigglyTwigs. Sizing Guides and Fabric Requirement Charts are available on the corresponding pages above. 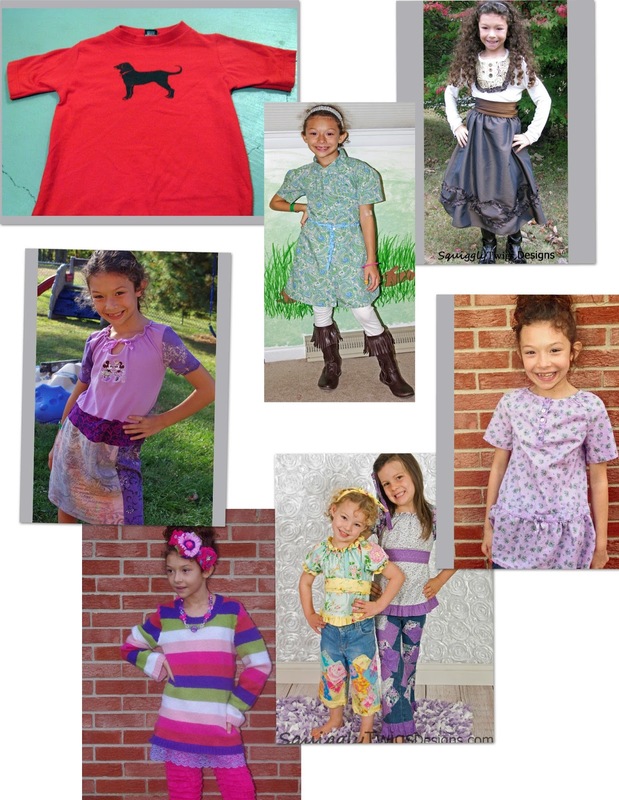 SquigglyTwigs Designs uses non-traditional construction techniques to make sewing fun, easy, and so quick. There are two unique techniques used in the construction of this dress. One is constructing the dress in the flat with the side seams sewn last. 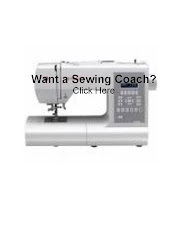 The other is "tricking" your sewing machine into gathering without the use of a special foot. Fundraising for a special friend! Another pattern designer is sharing this graphic. Final Update: Thank you so much for supporting our friends in their time of need by purchasing from SquigglyTwigs Designs. We were able to send a total of $103 dollars to them. That's a lot of .99 pattern sales. Update: This is our last week for the Fundraising sale. Our friends are back in their home and getting settled. We are praising the Lord with them for protection and restoration. Final sales update will be posted after April 4th. Update: They are in a rental house through mid March. Salvageable items are being moved into the rental house today. We've sold enough patterns so far to send $25. Keep spreading the word and enjoying our patterns. while they were all away and it was sooooo cold, pipes burst in the attic of their home flooding everything but one room. It's a big mess. Her husband returned home from the hospital for food and found water pouring from the front door. They do have insurance, but it will be a while before that can come through. In the meantime they are in temporary housing. She's still on bed rest. There's all sorts of wet stuff to sort through and there are 5 children to help settle. I've placed all of our patterns on sale at .99 each in our Craftsy shop. All of the proceeds will go to them. This will continue until they are back on their feet. You'll find the Craftsy shop link in the right margin of this post. Or, follow this link. I can't be there, I'm in Ohio and she's in Alabama, to help care and sort and clean...but I can give. 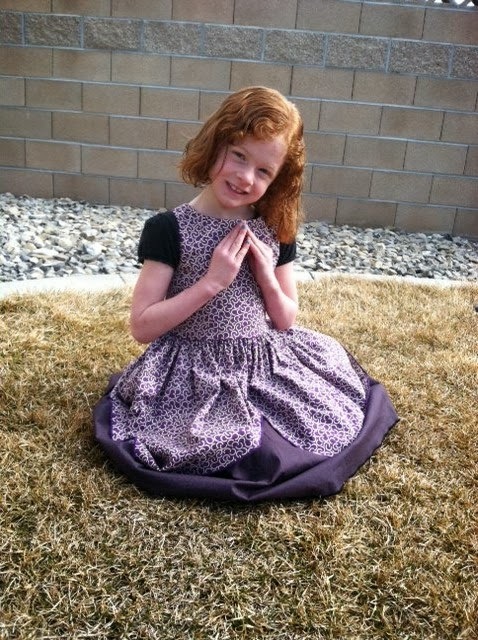 If you aren't interested in patterns check our facebook page for another way to give.